SeatID is an award-winning Software-as-a-Service Social Seating and Booking Platform that adds social widgets to ticketing and booking websites and apps allowing users to login with their social network profile to see which of their friends are on which flights, staying at which hotels, attending which concerts, etc. Such social proofing drives higher engagement and conversion and offers unparalleled customer insights for businesses. Previously a Development Manager at HP and R&D Team Leader at SAP. He holds a MBA and BSc in Computer Science, from Tel-Aviv University. 2nd time entrepreneur, Eran is also a co-founder and Board Member at Kampyle, a SaaS Customer Experience Management solution and a former mentor at the Founder Institute, Startup Bootcamp, and StarTau. 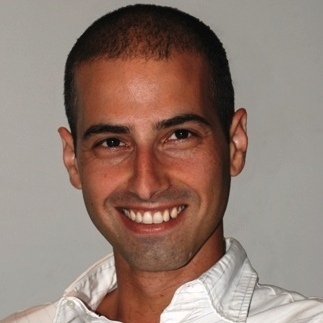 Previously Eran Worked at SAP as a Senior Product Manager. He holds a LL.B from Sha’arey Mishpat. General Partner at Yatir Ventures. Founder and CEO of MIKA. Former advisor and internet campaign manager to Israel's Prime Minister, Benjamin Netanyahu.